My lovely Agency is launching a brand new space in Prahran, Melbourne! 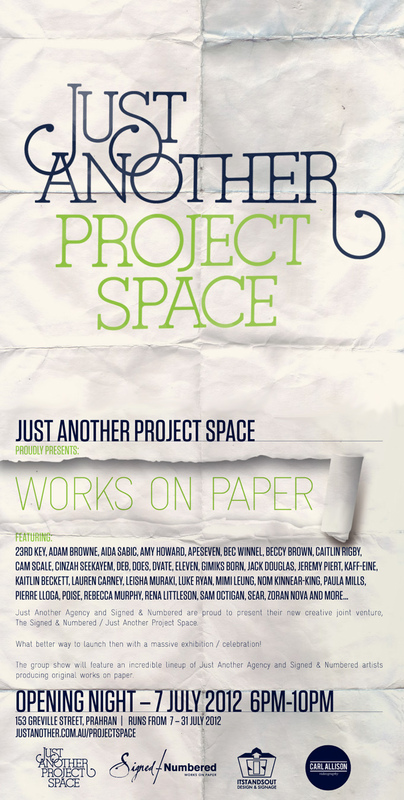 They’ve teamed up with the wonderful Signed & Numbered (where I have some prints for sale) and this Saturday they are holding a grand opening of Works On Paper. Looks like an amazing lineup. Do come along: 7th of July (6-10pm), at 153 Greville Street Prahran.